If this doesn’t work, copy the entire AUSkey folder to the new PC (C:\Users\Fred\AppData\Roaming\AUSkey (put your username in there instead of Fred). AUSkey is for Australian tax payers (plus access to other services) and allows you to lodge your BAS online with the ATO (amongst other things), and requires a unique key installed on your PC (the keystore.xml file above). If you need to install on more than one PC, there are links on the ATO website for obtaining additional keys. This simple set of instruction is just to transfer from one PC to another (like when you get a new PC or do a format reinstall of Windows). 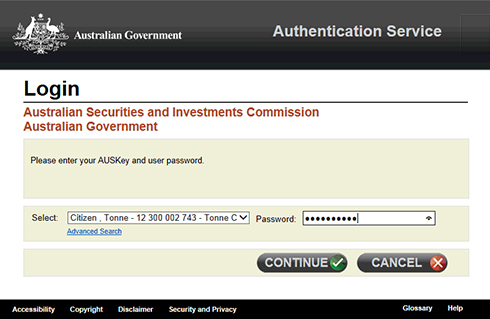 Once you have done this you can log into the ATO using myGov, and it is an awful lot easier! I thank the internet gods for guys like you! This was so easy… and it’s working perfectly on my new pc. The only thing I had to do different to your instruction was copy the AUSkey folder instead of just the keystore.xml It pasted into the new pc without a problem and I’m back up and running!!! Thank you thank you thank you! Thanks for that – I’ve updated the article to suggest copying the entire folder if just copying the key doesn’t work. Glad I could help, and thanks for helping me make the instructions even better! Fantastic! Thanks for letting me know! Unfortunately didn’t work for me after a hardware upgrade and clean install. Thank you!!!!!!! This info worked perfectly. The ATO said I would have to re-register for an AUSkey, but I thought I would give this a go first. I’m glad I did. All working perfectly. Thank you SO MUCH. Made the move to new computer smoothly, no hitches. What are the options if you no longer have access to the old computer? I think you need to cancel your Auskey and get a new one. You may be able to redownload your existing key?